Copyright © 2003 by Edwards Minerals, LLC - This image is copyrighted. Unauthorized reproduction prohibited. 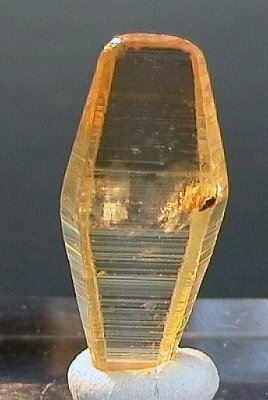 2.2 x 1 x .5 cm gem crystal of sapphire. Photograph by Edward Rosenzweig.